Almost every driver has been guilty of some form of traffic violation. These violations may result in inconveniences, major points on licences, increases in auto insurance rates, and excessive fines. 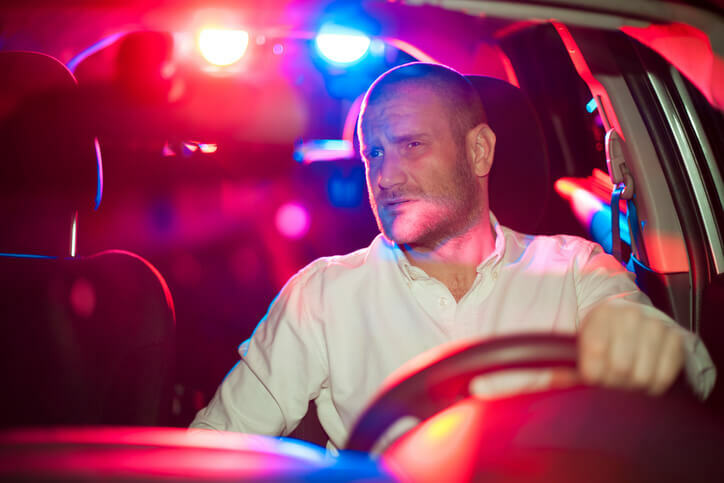 If you have been charged with a moving violation, you may need to contact an experienced traffic ticket lawyer, especially if you want to contest the charge. While these are common moving violations, they do not always result in desirable outcomes for drivers. It is best to contact an experienced traffic violations attorney for legal guidance and representation. Moving violations can be perceived as serious breaches in a court of law. They may seem minor, but failure to adhere to basic moving protocols can present a serious and persistent danger to both drivers and pedestrians. Traffic statutes, rules, regulations and policies of the state are implemented and enforced to ensure the safety of its citizens. Therefore, moving violations can be excessively costly. A defense lawyer is necessary to achieve a favorable outcome. Many people do not realize that moving violations can be contested in a court of law. In fact, it can be extremely beneficial to fight against such violations because if a driver gains future violations, he/she may acquire exacerbated negative effects. Moving violations may result in excessive financial charges, arrest (if fines are not paid), increases in auto insurance rates, points on the record, and even suspension of the driver’s license. In essence, moving violations should not be taken lightly. Careless driving is a driver’s failure to operate a vehicle in a careful and prudent manner. Most drivers are unaware they’re potentially endangering others. Though careless driving is often used interchangeably with reckless driving, the two violations differ in degrees of severity and penalties. Fines for a careless driving citation can range up to $500, but all citations for careless driving will add four points to your driver’s license. If you’ve been cited for careless driving, an accident attorney with 911 Biker Law may be able to help. Drivers are expected to yield to other traffic and pedestrians in many situations, and it’s the driver’s responsibility to know when to yield. Many of these situations are detailed in Chapter 316 of the Florida Statutes. The penalties for a failure to yield citation can vary depending on whether the action caused an accident or injured another person or not. But, penalties are generally up to $500 in fines and four points against your driver’s license. In the possession of a passenger. It's illegal for a driver or any passenger to have an open container of alcohol in Florida. Generally, the penalty is up to $90 in fines and a three-point assessment against the driver's license. But, penalties can vary if the violation occurred in a municipality with an open container ordinance or the driver or passenger is under age 21. Florida’s move over law aims to allow emergency, law enforcement, and service vehicles a safe distance between themselves and moving traffic when responding to a call or assisting a motorist. Drivers are required to move over as soon as it’s safe to do so. If this isn’t possible, they need to slow to a speed 20 MPH less than the posted speed limit. For drivers on a two-lane roadway with a posted speed limit of 20 MPH or less, they’re expected to slow to 5 MPH. The penalty for not moving over or slowing as necessary include up to $500 in fines and three points added to your driver’s license. Turning at an intersection without yielding to pedestrians and traffic traveling in the same direction. The penalty for an illegal turn is at least $180 in fines and four points on your driver's license. An Orlando motorcycle lawyer may be able to help if you’ve been cited for an illegal turn. Contact 911 Biker Law today. An improper lane change happens when a driver attempts to change or changes lanes without a clear and open space to do so. Florida Statute § 316.085 describes specific criteria that must be met to determine an improper lane change violation. A citation for this type of moving violation is generally given when law enforcement officers determine it caused an accident. But, a ticket may also be issued if a law enforcement officer witnesses an improper lane change. The penalty includes fines up to $300 and an addition of three points to your driver’s license. Improper passing occurs when a driver doesn’t follow the general protocol for passing another vehicle on the roadway. This protocol includes signaling the intention beforehand by turning on the blinker, checking the vehicle’s blind spot and mirrors for other vehicles, and to make sure there is enough room to safely pass. Improper passing is divided into three categories: making a blind pass; passing on the right, and passing that endangers other vehicles. 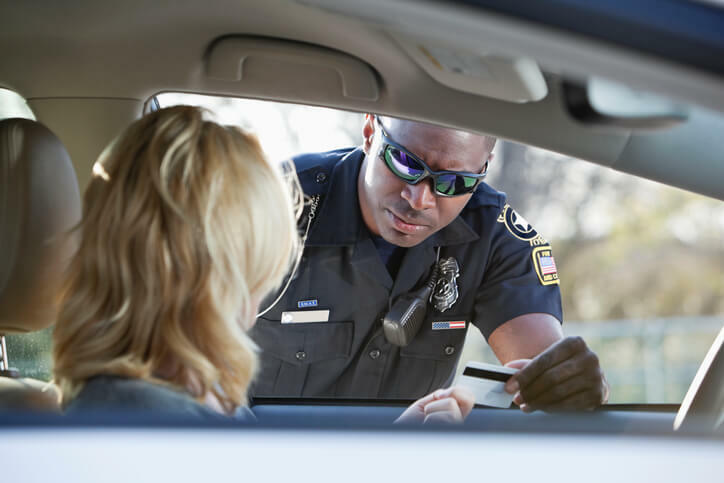 A ticket for improper passing is generally given when the action caused an accident or injury. Running a red light is a serious moving violation in Florida. The penalty for running a red light is four points added to your driver’s license and a fine. If the violation was captured by a red light camera, there is a $158 fine. Violations witnessed by a law enforcement officer may have a higher fine. If you’ve been charged with running a red light, contact the Orlando motorcycle accident lawyers with 911 Biker Law to discuss your case. Every vehicle is expected to fully stop at each posted stop sign in Florida. Some stop signs have a limit or marked line which denotes where the vehicle is expected to stop. If no line is present, the vehicle must stop at the entrance to the intersection. Penalties for running a stop sign usually include fines between $70 and $200 and a points assessment to your driver’s license. Fines may be higher if the violation occurred in a special zone, such as a school zone. Anyone who is present at an unsanctioned drag race or street race can be charged with a moving violation as a spectator. The penalties include up to $500 in fines and three points against your driver’s license. If you’ve been charged as a spectator to street racing, contact experienced traffic ticket lawyers in Orlando with 911 Biker Law. Most roadways have speed limits posted in a driver’s line of sight. Drivers have a duty to obey these limits or risk a speeding ticket. Fines and points assessed are based on how many miles per hour over the speed limit you were driving at the time of the infraction. Speeding fines usually double in construction and school zones. A toll violation occurs when a toll is unpaid after being charged to your vehicle. As long as toll violations are paid by the first notice deadline, most don’t have additional fees. But fees can accumulate if the driver is unaware a notice has been sent, such as a change in mailing address. If the fees remain unpaid, the violation turns into a moving violation which usually has additional fines and a points penalty. If you’ve received a toll violation in Orlando, contact the traffic ticket attorneys with 911 Biker Law. The penalties for violating a traffic control device vary based on the type of device involved but usually include three points being added to your driving record. Fines can range from $100 to $300 but may be higher if the violation caused an accident or another infraction happened at the same time. A violation of right-of-way occurs when one motorist obstructs the right-of-way for another motorist, such as idling in an intersection at a green light waiting to turn left. A conviction for a violation of right-of-way usually results in three points being added to the driver’s Florida driving record and up to $300 in fines. If you’ve been cited for violation of right-of-way, contact a vehicular crimes attorney with 911 Biker Law to discuss your case. Many people do not realize that dispute traffic violations, especially moving violations, is more than just presenting a compelling argument. A driver must have evidence and support to justify why the failure to follow the law was necessary. Such consideration can be extremely difficult to prove. Fortunately, experienced traffic defense attorneys at the Law Offices of Michael B. Brehne, P.A., are well-versed in Florida traffic law. Our attorneys can present a strong account of evidence (including testimonial support and expert opinions) to make your case appear as strong and as legitimate as possible. Contact our personal injury law firm today for a free initial consultation.